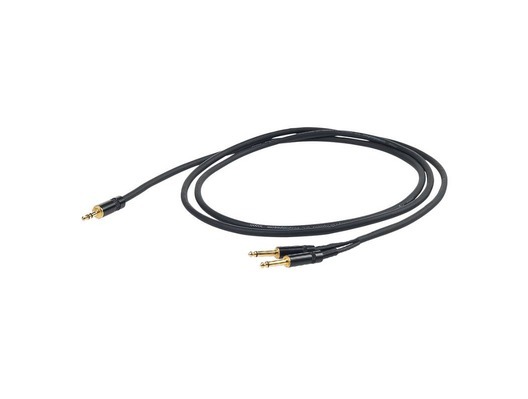 This Proel Challenge Series Lead is a 3.5mm Stereo Jack Plug to a 2x 6.3mm Mono Jack Plug audio connecting cable that is ideal for anyone who needs to link a 3.5mm stereo jack to a 2x 6.3mm Mono Jack Plug. 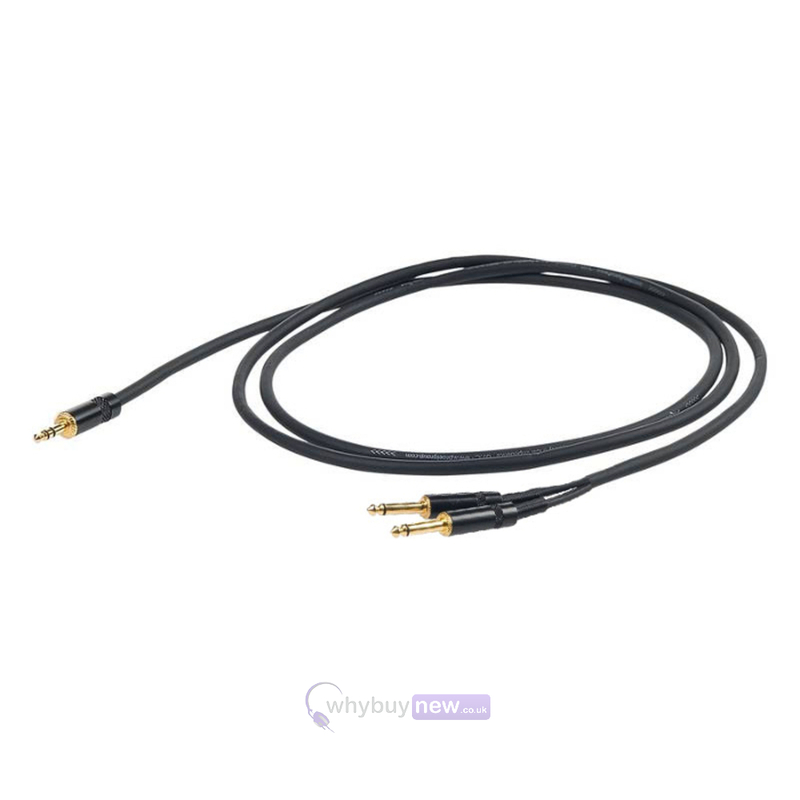 It is a professional assembled audio Y cable with Yongsheng 3.5mm stereo jack plug to a 2x Yongsheng 6.3mm mono jack plug. It has standard black housing and gold plated connections.